Firefighters at the scene of a fire in downtown Boston. Firefighters in Boston are responded to a multiple-alarm blaze on Stuart and Tremont streets on Thursday. 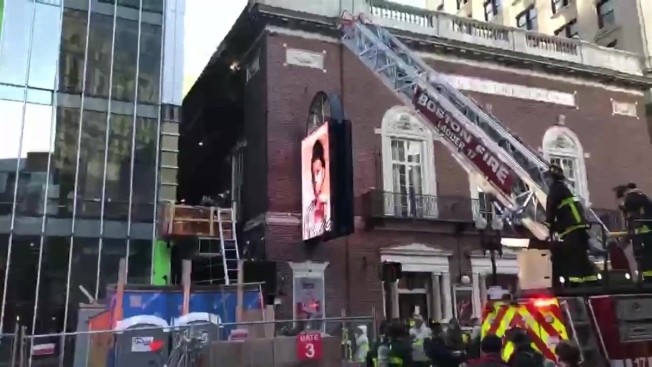 The initial call came into Boston police around 5:20 p.m. and the Boston Fire Department came on the scene for the 2-alarm fire at the 24-story building which is under construction. The fire was contained to exterior construction materials and damages are estimated at $250,000 according to Boston Fire. There no reported injuries and the cause of the fire is under investigation.